When the decision was made to place the sign, "MAINE, the way life should be," on I-95, the creators were probably thinking about beautiful mountain hikes, trout fishing up a stream, taking a ride down some rapids, hitting the slopes, or any number of other exciting outdoor activities Maine is known for. They were probably not thinking about carpenter ants. Yet carpenter ants and Maine go together like lobstah and buttah. If there is one thing we can count on in Maine, it's snow--and carpenter ants love snow. Well, to be more specific, they love what snow becomes once the freezing cold temperatures of winter have passed. All that snow is just moisture waiting to happen. And moisture does things to our homes that carpenters ants take notice of. Everything you can do to dry your yard out after winter--or after a spring rainstorm--is going to help to prevent carpenter ants from thriving in your yard. So, our first set of tips are connected to moisture. Check your gutter system for breaks or obstructions. The ice of winter can do a number on your gutters. If you have breaks, get them repaired. It is never good for water to run down the side of your home. Check your outside spigots and hoses. When water leaks out in the soil around your foundation perimeter, it can create the conditions for wood rot. Address shaded areas. The sun is helpful for drying rainwater after it rains. If you have areas that don't get a lot of sun, that moist soil is going to be inviting to carpenter ants. Examine your fencing, if you have a fence, and see if there are any gaps forming around your posts. When rainwater gets into these holes, your fence can start to rot. Find any conditions on your property where water and wood mix together and see what you can do to correct them. As we've already touched on, carpenter ants are drawn to decaying wood. Whether it is a pile of firewood or the timbers of your home, carpenter ants will use them to establish galleries for their nests. Consider addressing the following conditions. Make sure firewood is more the 20 feet away from your foundation wall and elevated, if possible. Store construction materials away from your home and tent it to keep the wood dry. If you use wood railroad ties or something similar to border your ornamentals and other landscaping, consider replacing that wood with stone. This is something everyone in Maine should know how to do. Identifying carpenter ant damage early could save you a lot of money. If you see a location of wood that looks like someone has taken a carving knife to it, you might be looking at carpenter ant damage. The tunnels and galleries made by carpenter ants are smoother than the tunnels made by termites. Look low for carpenter ant damage. This is where you're likely to see it. Check closely around window and door frames. Carpenter ants prefer soft, rotting wood that is untreated and unpainted. If you have a deck, porch, shed, or some structure that has untreated wood, look for frass and smooth, carved areas. If you're looking at carpenter ant damage, you're likely to see frass. This is a fine dust that these insects push out of their tunneling. Sometimes, frass is all you'll see. Look for this coming out of cracks, holes, and other gaps. If you're looking at carpenter ant damage, you're likely to see ants crawling around. Termites prefer to stay inside the wood. These are the largest ants you'll see in your home. They range in length from 3.5 to 13 mm. They are black or a mix of dark red and black. They have one node between the thorax and abdomen. Carpenter ant swarmers have yellowish tan wings. 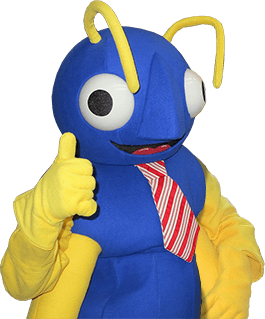 If you need assistance identifying carpenter ants or assistance ridding your South Portland home of a carpenter ant infestation, let Big Blue Bug Solutions help. Don't take any chances with your equity. While carpenter ants prefer soft, decaying wood, they can chew their way into hardwood too. Reach out to us today for a free inspection. I Think I Have Carpenter Ants Inside My New England Home - What Do I Do Now? If you have seen carpenter ants, or even a small sign of their existence inside your New England home, you need to take action right away. Just because the temperature is dropping, that doesn’t mean that these pests will go away anytime soon.